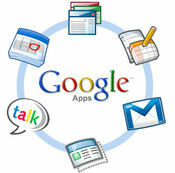 We can help you set up, integrate to your infrastructure and maintain Google applications for your business. Google Apps reduce IT costs and empower today's employees: Gmail, Google Docs, Google Sites, and more - £60 per user per year. Google Apps Migration for Microsoft® Exchange makes it easy to migrate email, calendar and contacts from on premise or hosted Microsoft® Exchange. We know your business is constantly changing and you know your business best, so why let your online service lag behind?